Client identity protection and data security are our top priorities. Our audited processes ensure identity is protected and all data is destroyed at our facility. We operate an Environmental, Health and Safety Management System. The System focuses on environmental responsibility, worker safety, and data security. These rigorous certifications ensure that our customers get the highest level of safety, security, and responsibility in the electronics recycling industry. Our multi-step process ensures that when reuse is not possible, we separate materials and components and responsibly recycle… Nothing is wasted! Do you have a storeroom full of unwanted electronic equipment because you’re not sure what to do with it? Worried about the information on that equipment being compromised? Since 2011, Spectrum Ecycle Solutions has been your convenient equipment recycling and secure data destruction solution right here in St. Louis. Spectrum Ecycle has vast expertise and resources to fully manage your technology disposal process, from equipment pick-up to certified secure data destruction and technology recycling. 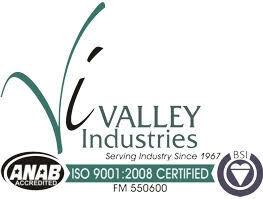 For many years, we have voluntarily entered into a rigorous and independently audited industry certification process because we know how important it is to our customers, like you, that your unwanted equipment be handled responsibly. In fact, this certification process is similar to what you would see in a hospital, manufacturing, or financial institution – no data can be compromised. Spectrum Ecycle wants to be your trusted source and partner in productivity; we do that by continually employing best-practices and maintaining these certifications. We are audited annually to continue to hold the three most important industry certifications emphasizing quality, safety, and transparency in how we handle your outdated equipment and data. Businesses that maintain these standards are stronger and more disciplined to make the right decisions. Choosing to continually improve processes and follow changing certification guidelines for data destruction and equipment disposal demonstrates our extreme effort to ensure that your business can trust us to process your equipment in the most responsible manner. We are conscientious about making your recycling and data destruction process worry-free, secure, and simple. Once you contact us for pick up, your equipment goes directly to our facility for processing where it is weighed and documented. Once data destruction is complete, you will receive a report documenting what was received, the total weight, and the certificates of data destruction. It’s as simple as that.